Uckfield, Rye, Brighton or Bexhill – wherever you’re planning to hold your function in Sussex, Monitor Lighting offer an all-encompassing service which will help you turn your lighting dreams into a reality. 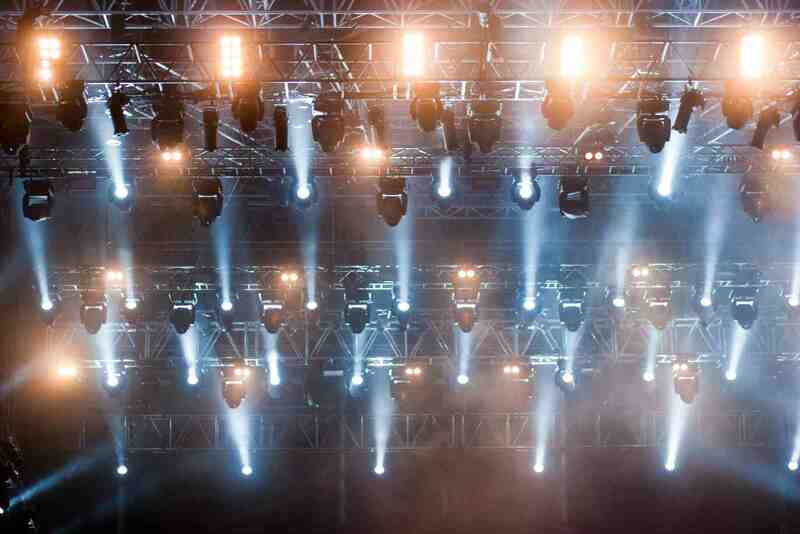 With the highest quality equipment and staff, years of experience and the technical know-how to deliver, allow us to bring you the very best lighting hire in Sussex. Do you envisage a stunning backdrop for a prize ceremony, glitzy red-carpet run or wedding speeches? Monitor Lighting’s star cloths produce a taste of showbiz and deliver the perfect stage for memorable scenes at your Sussex event. Used to dazzle or to deliver more subtle effects, uplighters are a wonderfully versatile option that we offer for you to use when lighting your party. Sparingly deployed, this lighting for hire in Sussex has the capacity to gently expand an effect or deliver great swathes of colour in vivid glory depending on what you have in mind. Used in great numbers, uplighters can change the feel of a room in a very atmospheric fashion and are especially effective when hidden from view. Monitor Lighting only use LED uplighters, which are very energy efficient and produce very little heat, making them perfect for this type of application. Many locations and lighting designers use this great effect with huge success – keep an eye out for it yourself when next you visit a function venue or exclusive bar. With their demure appeal, lanterns are a beautiful option perfectly suited to delivering a warm glow to bare trees during darker months of the year, or emphasise summer shades. With sizes to suit, our lanterns could be the perfect solution for your event lighting design. Perhaps they’ll be perfect as a feature at your spiral staircase? Maybe you will hang them along a path or above tables in a marquee? Lanterns can add warmth where functional room lights are too bright for your needs. Dazzling, exciting, bright and fun – if these are descriptions that you have in mind when looking for lighting hire in Sussex, take a look at Monitor Lighting’s LED dancefloors and multi-coloured dancefloors. Available in as many options as their traditional cousins, they can be sized and installed to suit your requirements and venue parameters. We make sure all power and installation needs are addressed, so you simply need to enjoy the night with your guests. These modern dancefloors are programmable, giving you the option to have colour changes or for the floor to switch on and off – ask us about the options which best fit your plans for the perfect lighting spectacle. Along with the contemporary LED lighting options we endorse, Monitor Lighting continue to enjoy the more traditional offerings which have served us so well over the years. Be it a single colour or chess board dancefloor which suits your needs, they remain a staple within many of the venues in Sussex. Sized to fit into a corner of your living room or cover the floor of a great hall, we install pristine dancefloors to suit the grandeur and atmosphere of your function. Sparkling and warm, a fairy light canopy conjours thoughts of childhood stories and pretty locations. Whether used to hide unsightly ceiling hung units or simply to add another effect to part of your venue, a fairy light canopy is a delightful option with a selection of uses. Service is central to the continued success of Monitor Lighting. We take pride in delivering your lighting design with the work ethic we have developed over years of experience in the industry. We are happy to advise and make suggestions for the first time or private event organiser. Similarly, we will work as a sounding board even if you’ve been there and done it a number of times before. If you’re in need of a little inspiration, have a look at some of our designs and installation here. Monitor Lighting’s vision might just be the difference at your Sussex function. Click here to begin the process of illumination for your event. Marrying your imagination and our technical prowess, Monitor Lighting are waiting to be your dream lighting team.